Dodge’s latest muscle car is a mega-power drag-race special, and it’s called the Demon. 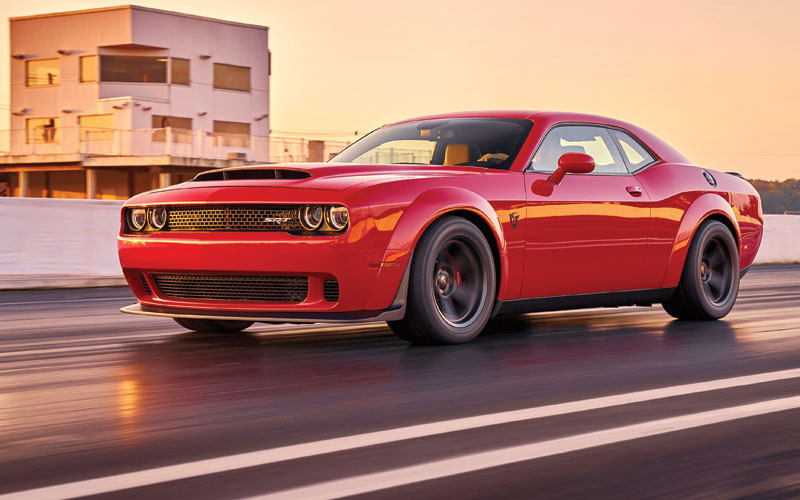 Well-equipped, Dodge claims that the Demon will demolish the quarter-mile in 9.65 seconds at 140 mph. Weight-saving measures have been taken wherever possible, and even passenger seats are optional. 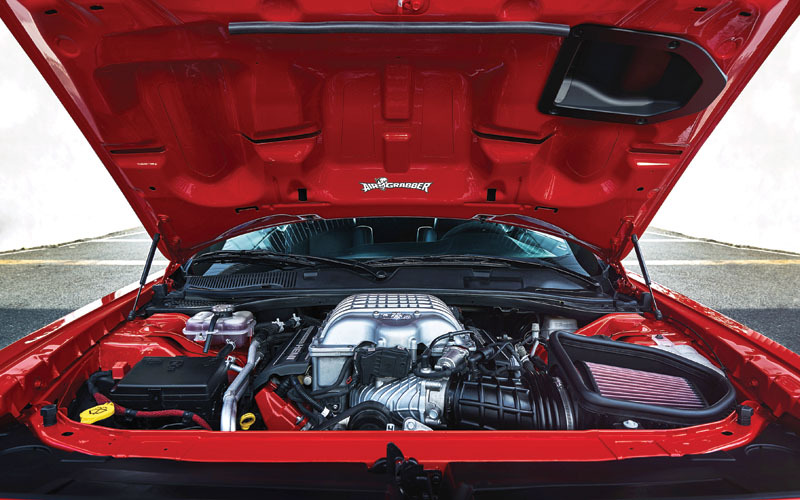 Read ahead to explore this standalone model which will shatter any thoughts you have about what a muscle car can do. To make the immense 770 pounds-feet of torque transfer to the pavement, engineers used a variety of proven drag racing strategies and several technology-firsts to build the first-ever production car to produce a front-wheel lift, as certified by the Guinness World Records. It’s the first production car equipped with a trans brake which locks the transmission so that drag racers don’t have to worry about standing on the brakes to prevent creeping through the timing lights when dialling up the RPMs at the starting line. You just have to tug the steering wheel paddles to launch. The Demon is the first production car with a novel liquid-to-air intercooler chiller system that diverts cold air from the air-conditioner loop, as well as an After-Run Chiller that cools the supercharger after the engine is turned off. It’s the first car with a Drag Mode suspension setup for optimal weight transfer, a key component in straight-line performance. It also happens to be the first production car available with a set of super-skinny front-runner wheels just for drag racing, part of an optional crate of performance parts and tools. On the street, the car is surprisingly docile with a light right foot along with the Auto setting for looser steering and more compliant behaviour from the Bilstein adaptive dampers. There’s more supercharger whine and a louder exhaust note than the previous car, Dodge Hellcat, while the wide Nitto NT05R drag radials stay surprisingly quiet around town and on expressways. 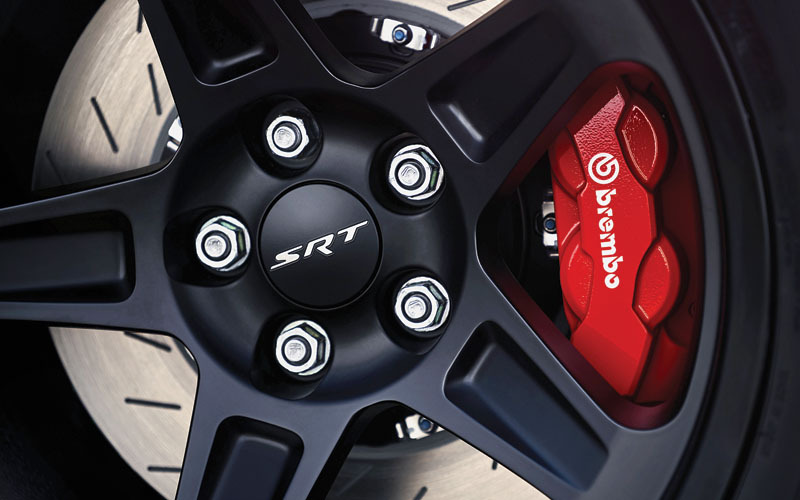 Even though SRT engineers say they’ve gotten 5,000-miles out of a set of Nittos on the road, owners looking to do a lot of regular driving would be best served by getting a dedicated set of street tyres for better longevity and wet weather performance.